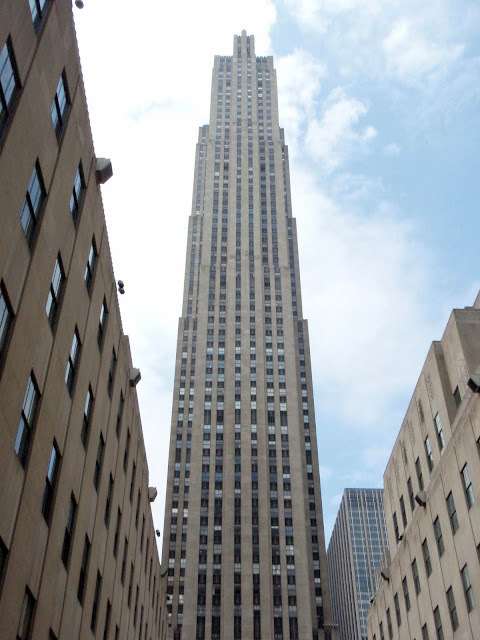 30 Rockefeller Plaza is the centerpiece of the Rockefeller Center (which has 19 buildings in the complex) in Manhattan. The Art Deco building, also known as GE Building (RCA Building before that), has 70 floors and is 266 meters in height. It has an observation deck, named Top of the Rock, which is open to the public. The TV show 30 Rock is named after the building, where the NBC studio, the producer of the show, is located.